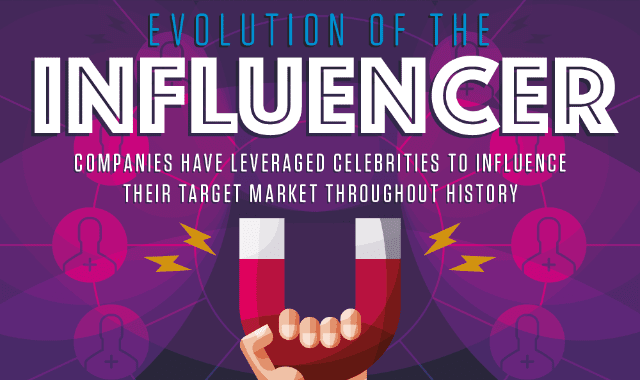 Evolution of Influencers #Infographic ~ Visualistan '+g+"
What is a social media influencer? When you hear the term it may bring visions of YouTubers playing video games or an Instagram account devoted to nail polish. Chances are you aren’t thinking about celebrities who are already famous posting about morning sickness pills. Social media has democratized advertising like it has democratized everything else, and advertisers are finding they get more bang for their buck skirting celebrities altogether and dealing with smaller social media influencers instead. Social media influencers are generally more authentic than celebrities. Celebrities may make a post about something they are paid to do and then never interact with the people liking and commenting the post. It’s more of a get in, get out, and collect a paycheck kind of situation. Social media influencers, on the other hand, are more likely to interact with their audience and be seen as a real person with an authentic point of view. Learn more about social media influencers from this infographic!